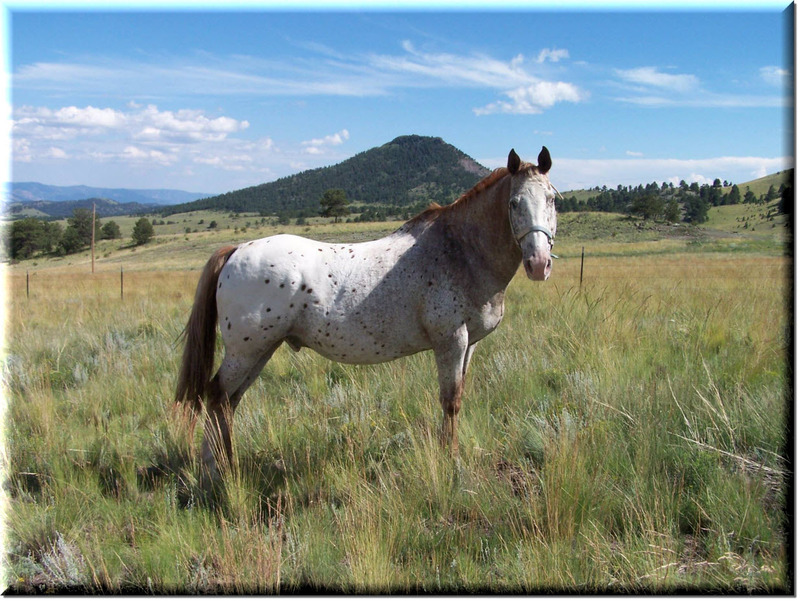 Our sixth horse arrived in August 2014 from Fountain, Colorado, at the age of 29. Casey was a gelding with recurrent equine uveitis -- the same disorder as our Esther. He was blind in both eyes, and was also losing his hearing. Casey was gentle and sweet, the consummate gentleman. More of a teddy bear than a horse. In 2017, Casey started having seizures and digestive issues. After consultation with the vet about Casey's quality of life, he was euthanized and buried on our hill. We believe he was very happy and relieved to get out of that old, broken-down body. He was 32 at the time of his passing.